We're excited to sponsor a new contest which is happening now through April 15, 2015: the Revive a Vintage contest hosted on the Roving Crafters website. This challenge is open to knitters, crocheters, tatters, and other crafters across the globe with the ultimate goal of keeping the traditions of crafting alive. Source patterns or images should be from 40 years ago or earlier to qualify for this contest; you can read the full list of requirements here. 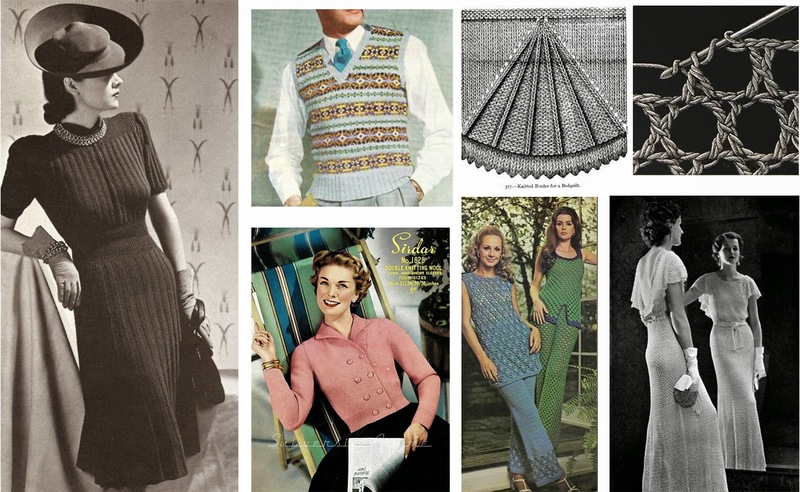 For site links and other information for the above images, click here to visit our Vintage Inspirations Pinterest board! 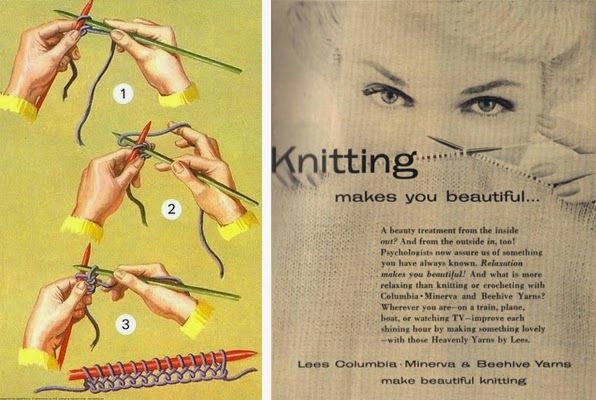 It will be interesting to see if contestants will choose to update such designs for knitting in the the round, favoring circular needles or DPNs, or if they will continue the tradition of knitting with single-pointed needles as many crafters in the past have used. 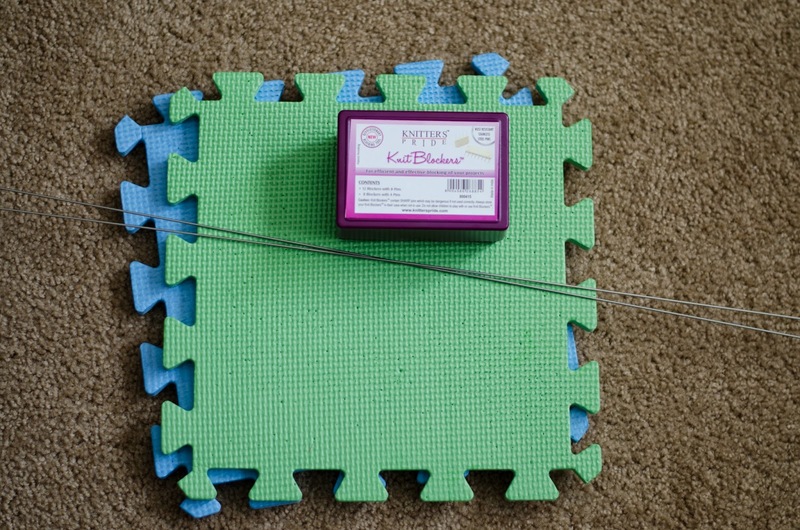 There are some great prizes up for grabs, and Knitter's Pride has donated two needle sets for to prize pool (pictured below). When selecting needles for this (or any!) 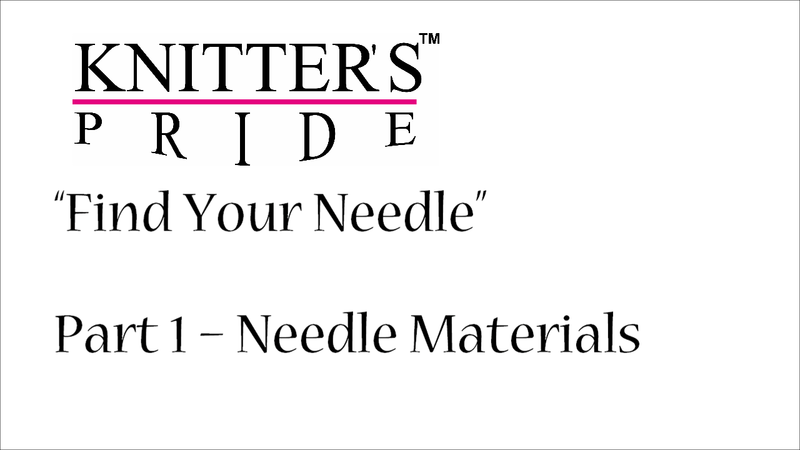 project, we recommend watchingour new "Find your Needle" video series which features Staci Perry of Very Pink Knits to ensure that you have selected the perfect Knitter's Pride needle for your next project; crocheters can get a closer look at our many crochet hook options by watching this short YouTube video! Speaking of prizes, our lucky winner in this month's blog giveaway is Kathy Trunzo! 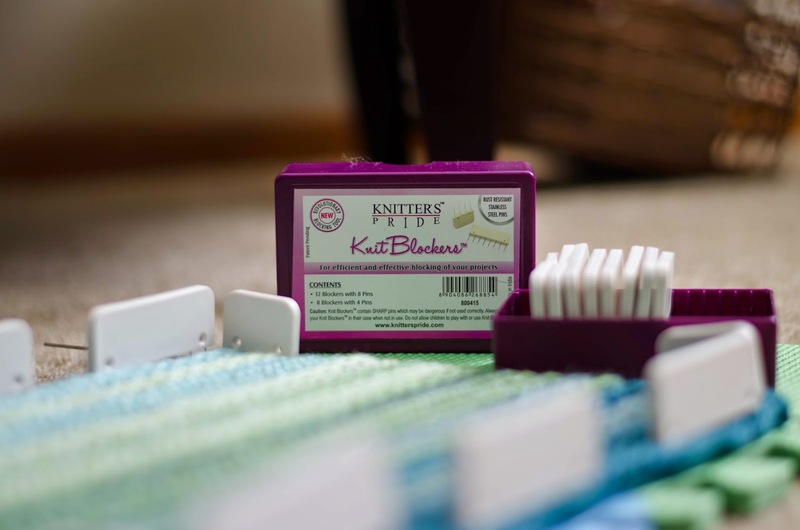 We have contacted Kathy to arrange for the delivery of the prize, a Knitter's Pride Knit Blockers Set. 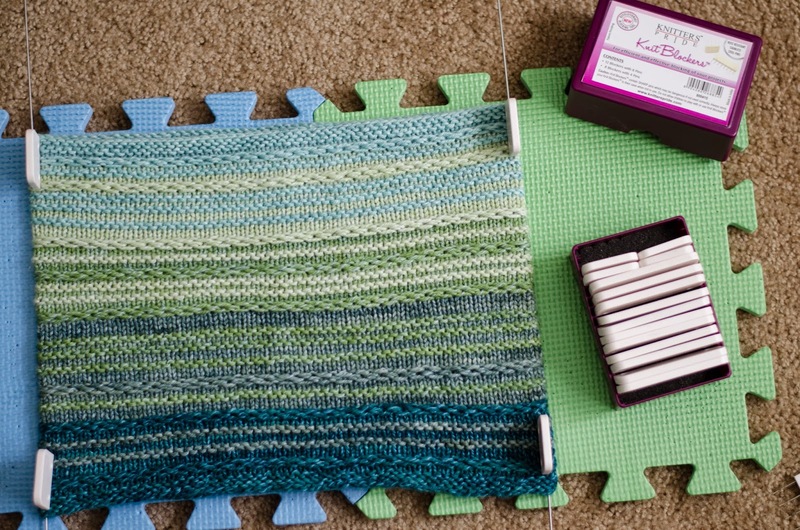 Be sure to check out our tutorial featuring this time-saving project here on the Knitter's Pride blog & share it with a friend! Tutorial: Block a Cowl in 3 Minutes Or Less! 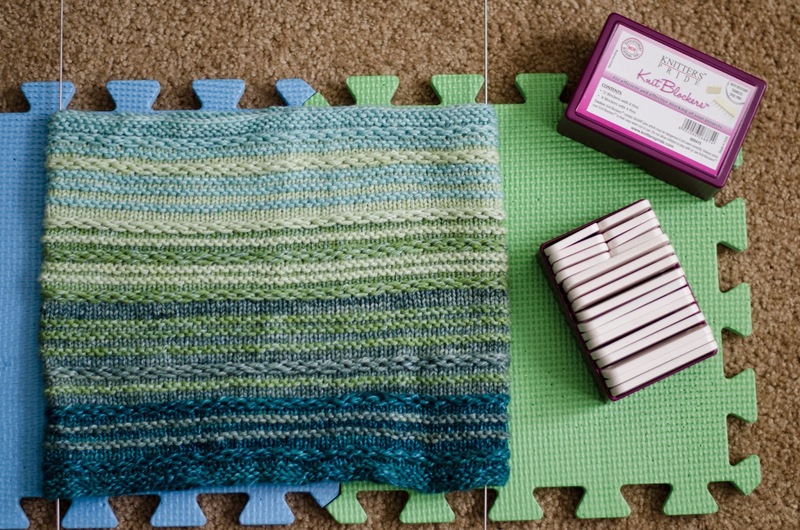 Today on the blog we'll be using some of our favorite Knitter's Pride blocking tools to block a cowl in 3 minutes or less! Note, this assumes that you've already soaked your cowl in warm water and pressed the water out. 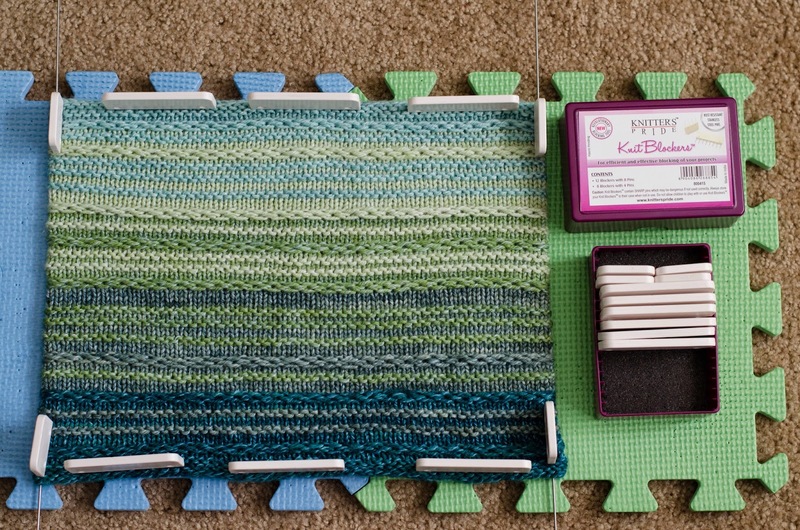 Once your cowl is ready to be blocked you'll need three tools: Knitter's Pride Lace Blocking Mats, Steel Wires, and our new Knit Blockers. Next, insert through the opening of the cowl, with one at each end. Secure the wires into place with two of the smaller Knit Blocker combs in the corners of the cowl. Use the larger combs to pin the top and the bottom of the cowl into straight lines. And voila! Now you just need to wait for your cowl to dry, unpin, and wear! 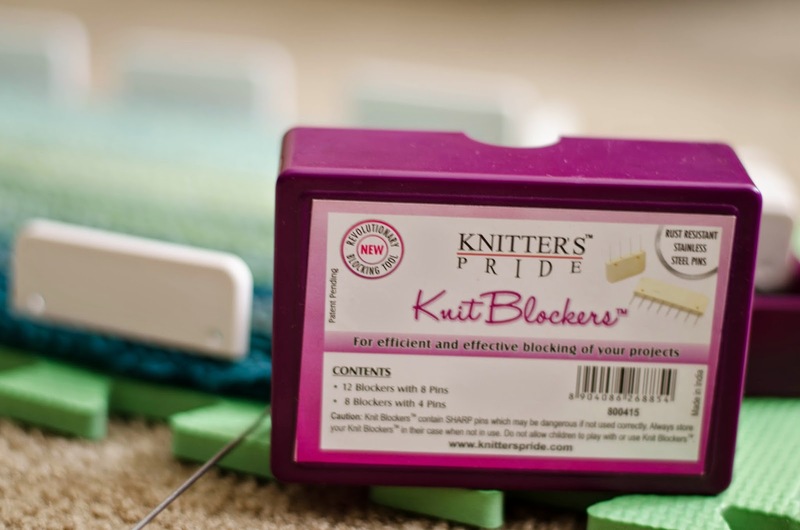 Enter to win your own set of Knitter's Pride Knit Blockers! 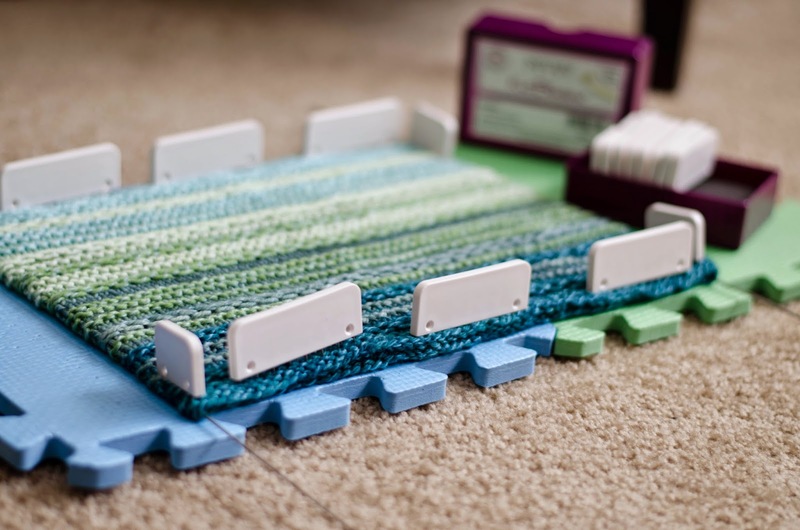 To enter to win leave a comment telling us why you need Knit Blockers in your life. We'll choose one lucky winner on Friday, March 27th!